A number of rooms have been secured at the venue hotel, as well as in various hotels of all categories, in close proximity to the meeting venue. A discount will be guaranteed for group reservations. 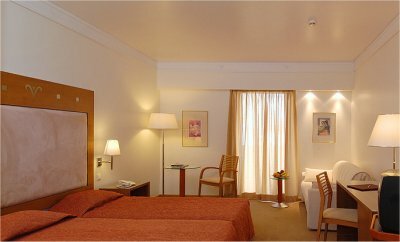 The AQUILA ATLANTIS Hotel (venue Hotel) is located in the center of Heraklion. It is the city’s largest luxury hotel with unobstructed views of the historic harbor. Ideally positioned in the heart of the city, it is the perfect starting point to discover Heraklion and its many historic monuments and museums, all, within easy reach of the business and commercial district. Open all year round, the hotel offers unparalleled services and amenities that meet and exceed the expectations of even the most challenging traveler. 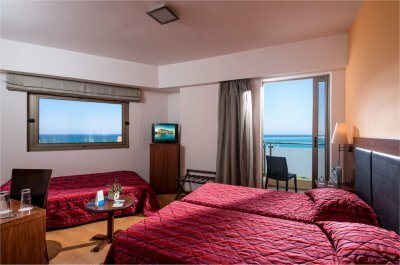 Sophisticated and cosmopolitan yet casual and contemporary, the Aquila Atlantis hotel not only is a combination of uncompromising comfort and understated lavishness, but also provides a warm hospitality and cozy atmosphere in each and every one of its corners. 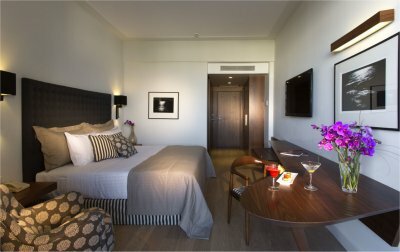 The most eminent hotel in the heart of Heraklion city, fully renovated, bringing into the 21stcentury a long tradition of hospitality which has made it number one destination for any visitor of the city. It is located in the heart of the historic and commercial center of Heraklion. ATRION hotel is located in the heart of Heraklion, a short walk from the Historical museum, seafront promenade and Heraklion's Venetian port. 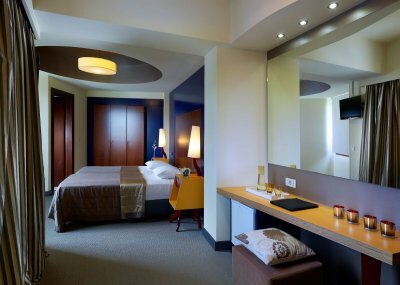 Fully renovated, this modern, minimal-style hotel is right next to Heraklion's vibrant center, with its cafés, shopping center, tavernas and museums but also a short stride from the seashore. Atrion Hotel in Heraklion, with its conference center, business facilities and friendly service, offers an environment to suit any mood: business or pleasure. The Marin Dream Hotel in Heraklion City provides an ideal choice for tourists and business travelers, only steps away from the cruise lines and the vibrant city center of Heraklion. The hotel with long-lasting experience and expertise in traditional in hospitality was renovated radically the summer of 2005. The transformed property now provides comforts and services that correspond in the requirements of the guests’ needs.